Daddy buy muffin me. This is the first time I remember her using a trivalent verb. 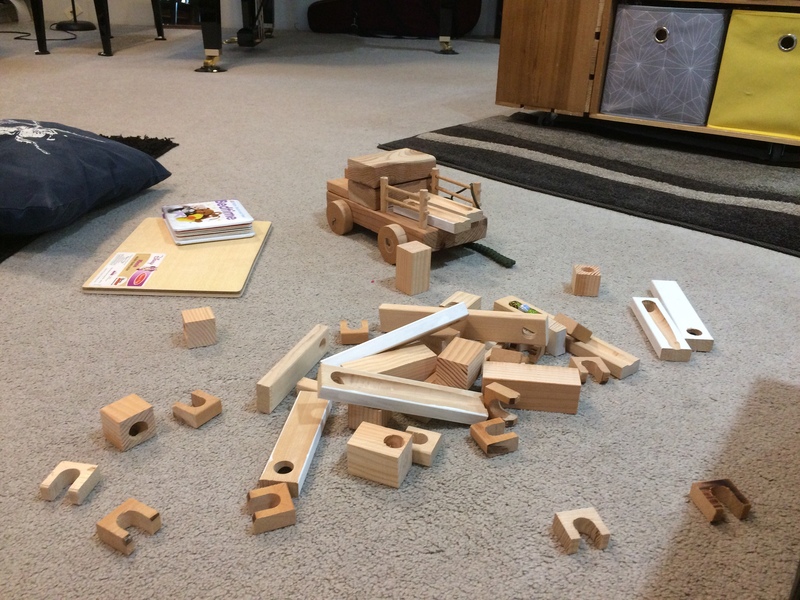 But she has indicated attributive actions through compound subjects and objects before. 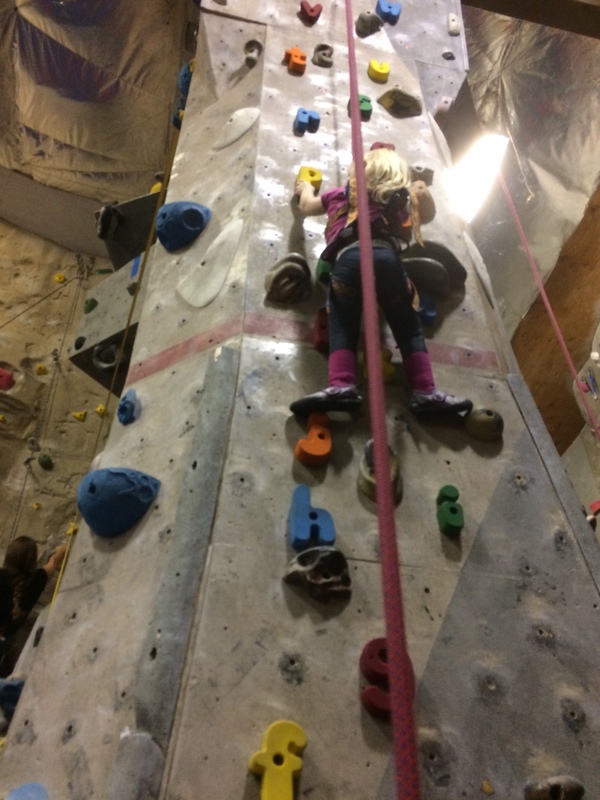 Daddy me go climbing. 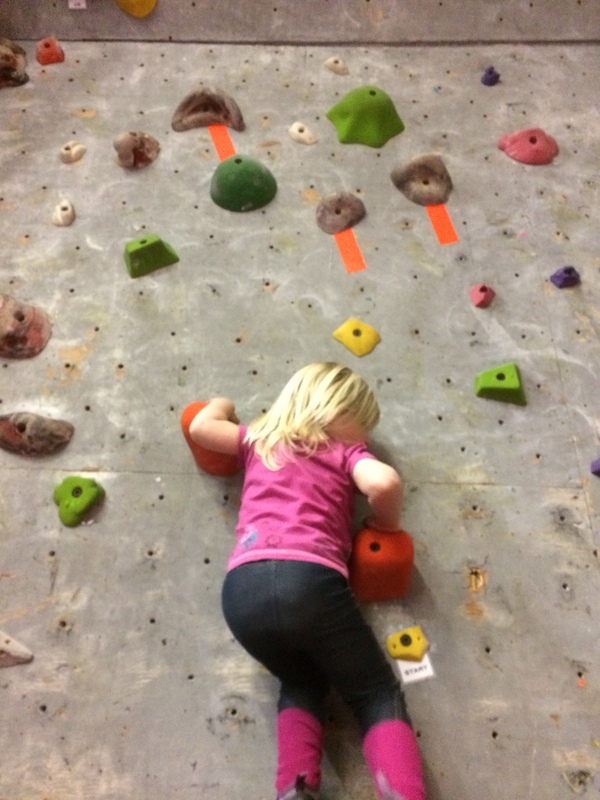 Something like daddy take me with you to the climbing gym. It is cute how her language choice evolves. The new lexicon is displayed, the old home speak word diaper, pronunciation evolves. In one way I loath the change. It is sad to loose the old forms. They are often so straightforward and morphology simple. Part of me says I should be recording this speech, but I’ll never review it. Maybe 5-10 minutes of it the night before she gets married. But in reality, not really ever. 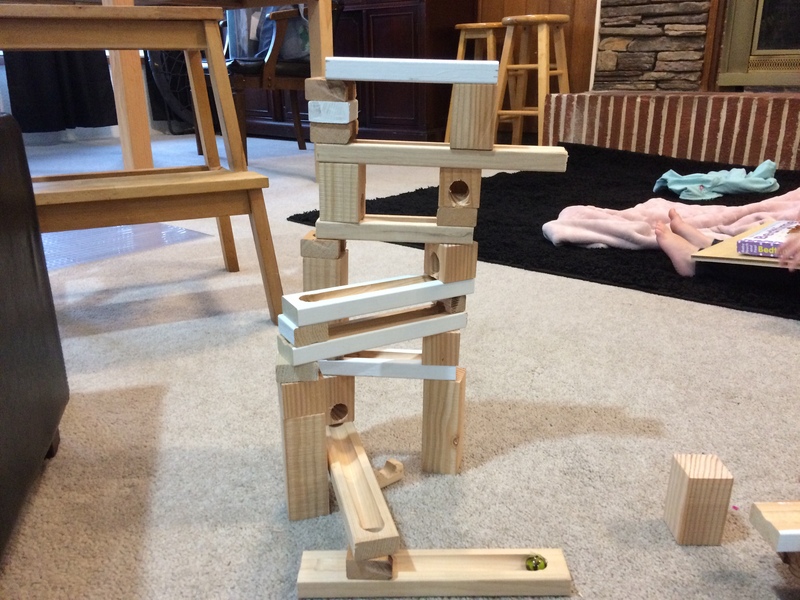 This is my first project with CA glue. 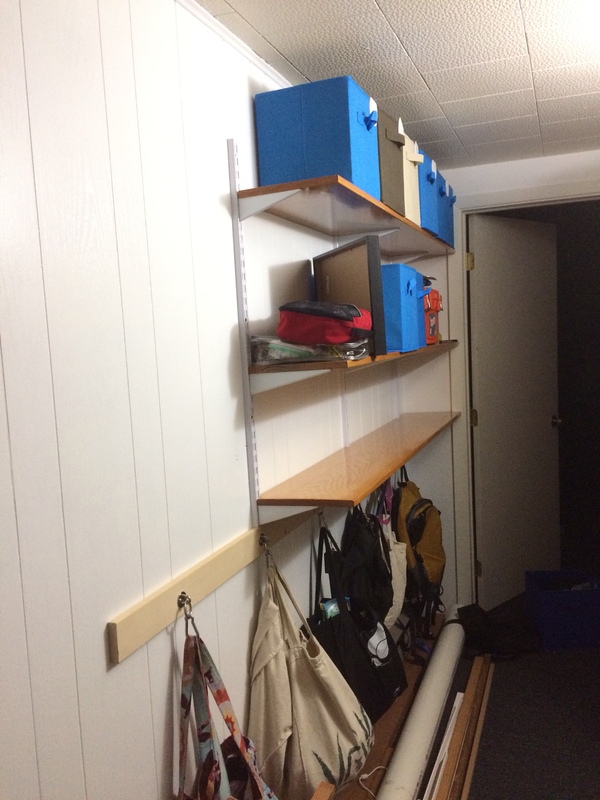 I have a set of shelves in a dark hallway. 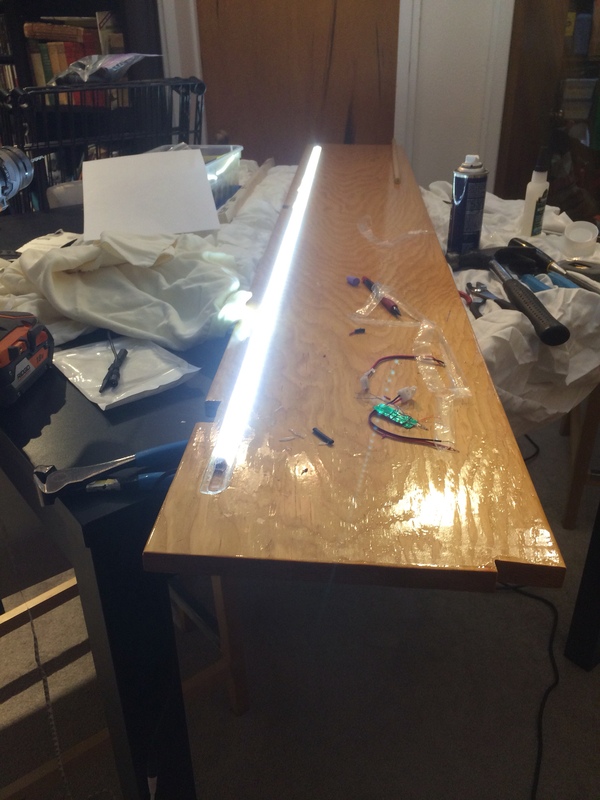 My idea is to add LEDs as under lit area under each shelf. 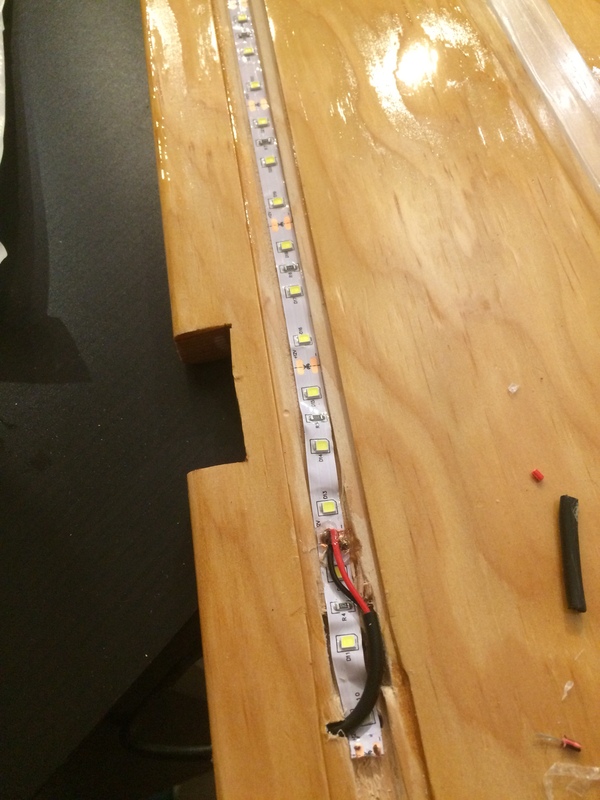 The task has been to embed the LEDs in the wood shelf. And then to cover them with plexiglass. 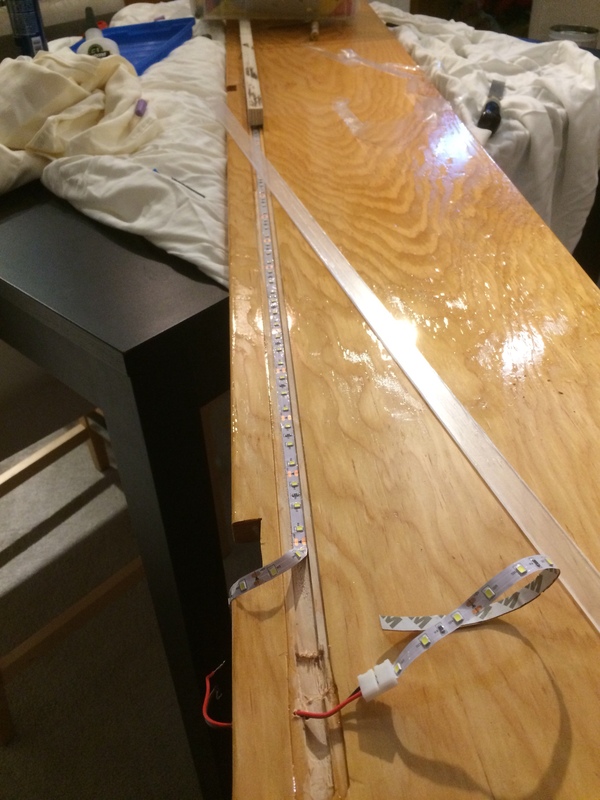 Are used CA glue to attach the plexiglass to the finished wood shelves. 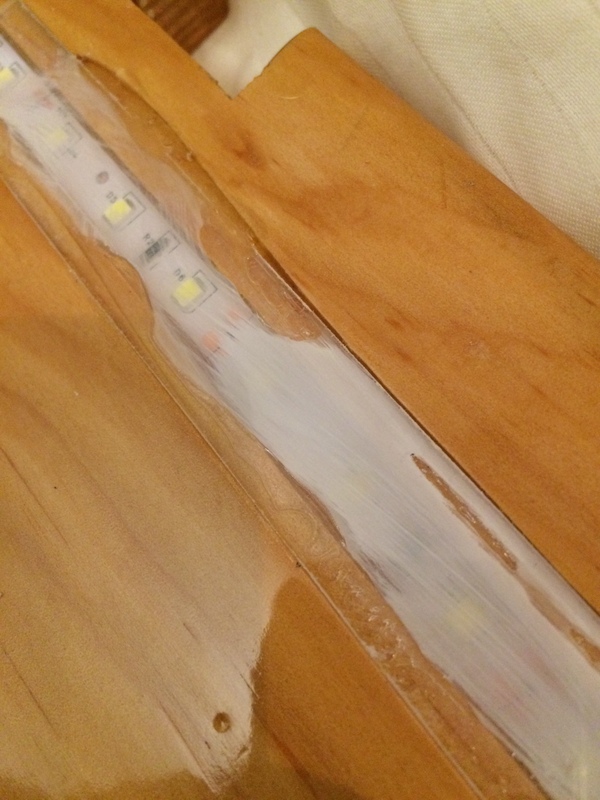 One thing I did not know about CA glue was how it’s offgassing would etch the plexiglass. 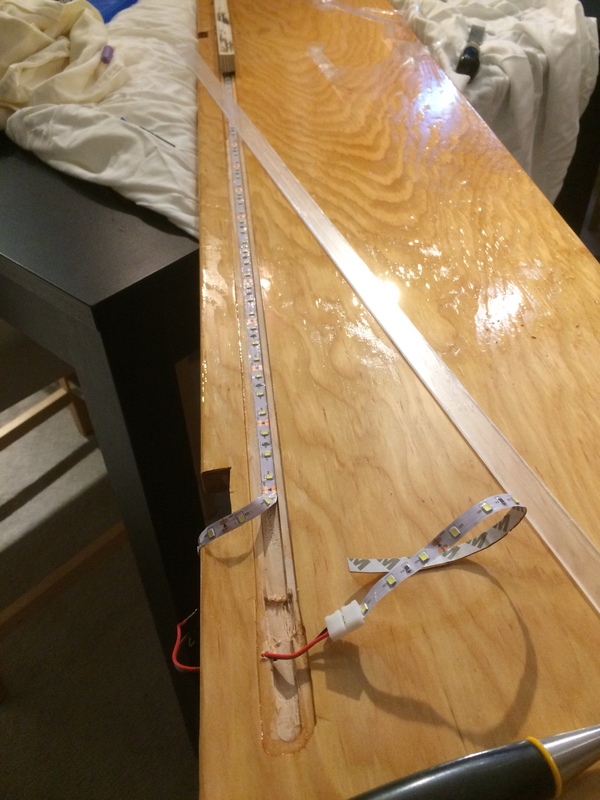 This seems to be corrected if we use the CA glue curing excelerator. 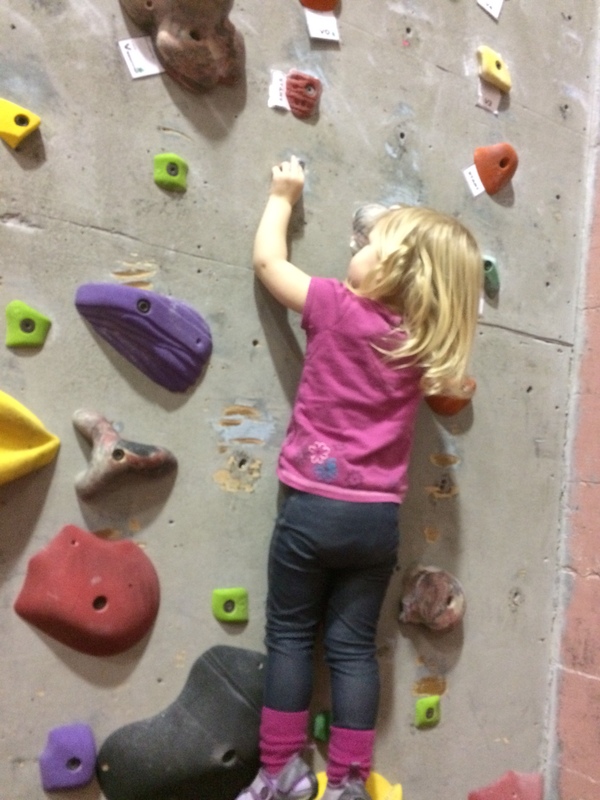 I took Katja to the climbing gym again. 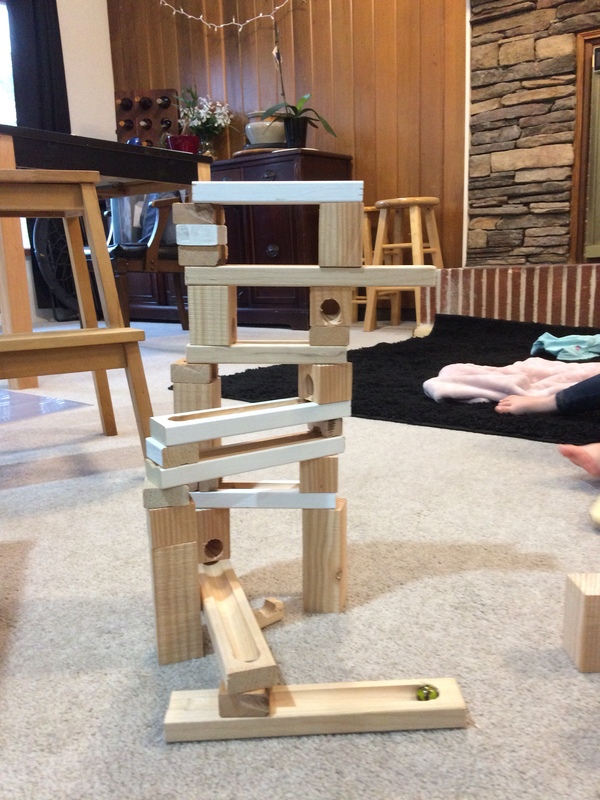 It is really fun to watch her. She gives it good effort. This time she really wanted to use chalk. 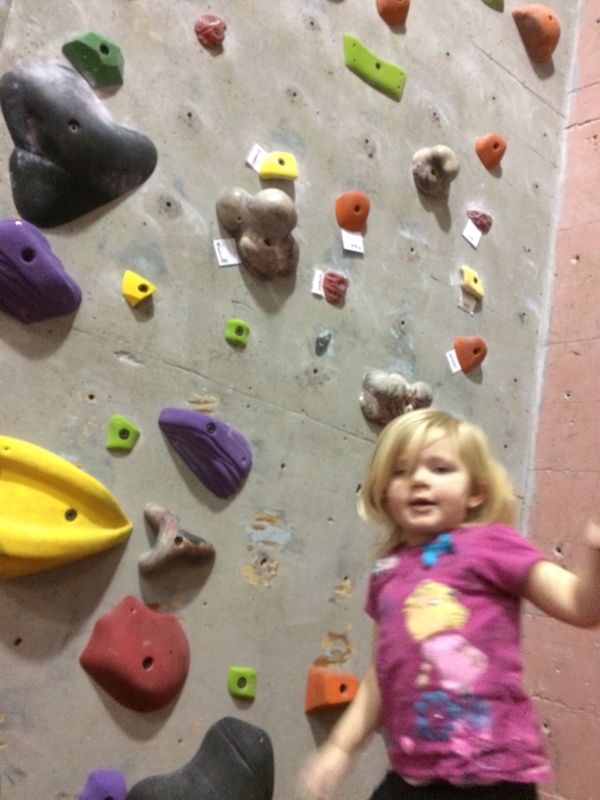 It is really hard to belay your daughter and take photos. She got all the way up to H on the alphabet wall and then wanted chalk. 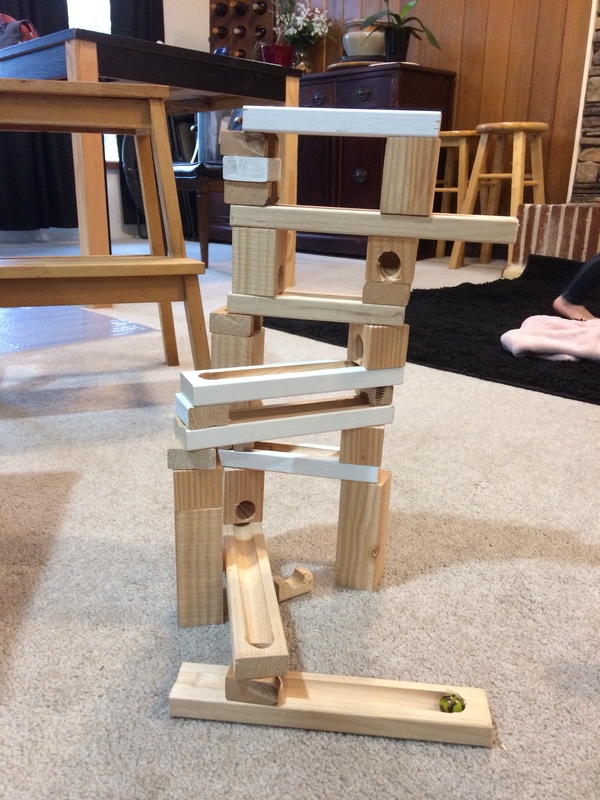 I couldn’t give it to her so she got mad and then she couldn’t think about coming down clearly. The shoes are a bit big still. Who is Jesus when we are in a temporary culture? while there is a lot of symbolism in this imagery, the phrase like a covenant of old makes me wonder why the phrase of old is included. Why is this not redundant information?Is it for the poetic effect of nostalgia? Or is it because the audience listening to the song needs to remember that there were covenants in an era not like the current era? This seems to indicate that covenants do not exist in and among the common populace of the current era. If what we know about God is through analogy, and biblical texts, as divine inspiration are God’s way of communicating to us through things and experiences known to us in our culture then who is Jesus to a culture that has only a nostalgic connection to covenants? Particularly the theological view that Jesus is the fulfillment of a covenantal promise? Who is Jesus now? The time has come to look for a new car. I was out with Katja running some errands. 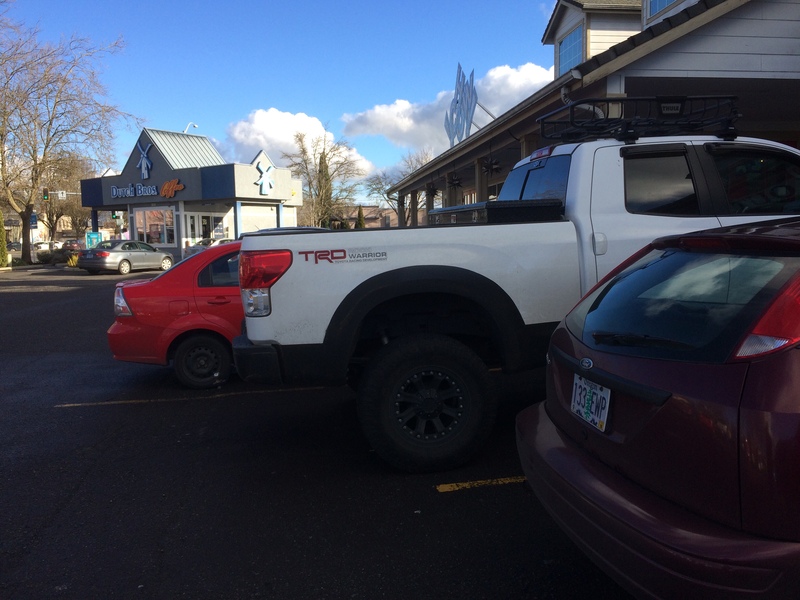 We passed by this truck which of her own volition she pointed out to me. 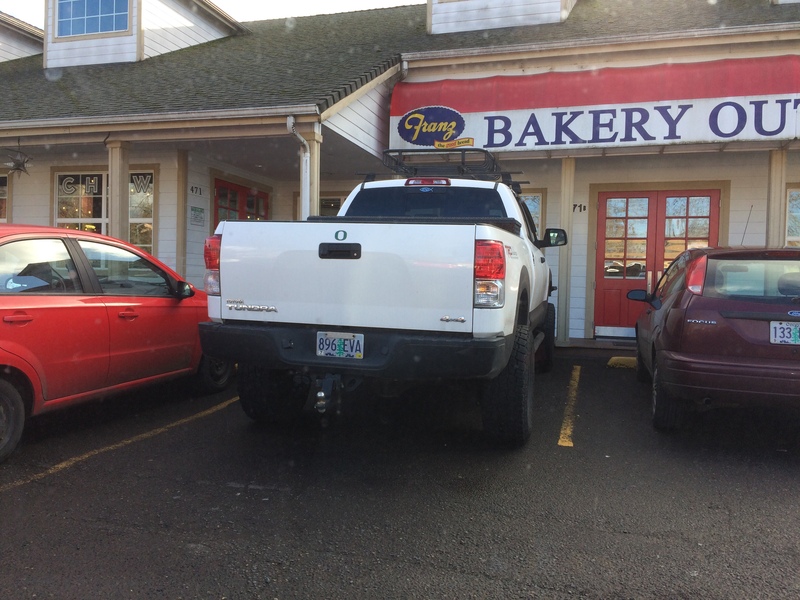 She said as we walked by:” Big truck”. My thought is that this might be a candidate for a new family car. 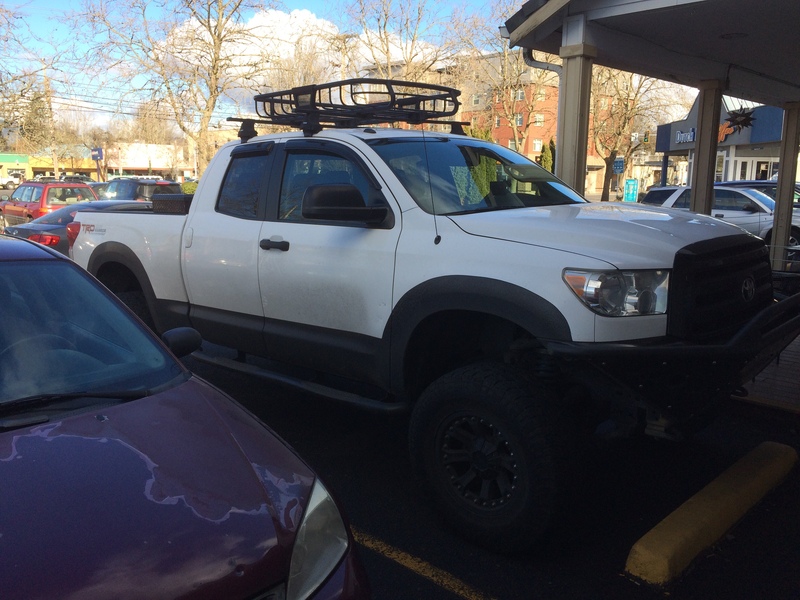 It can fit a 4′ x 8′ sheet of plywood and a car seat in the back seat. Seems to fit our requirements. On the drive back from Ohio this year, we stopped in Bend for breakfast, well maybe it was more like lunch. And it’s not very often that I get over to bend so I had to stop that I wanted to make. About four years ago my wife got me to taste her glasses from Deshutes brewery. We actually use these glasses as juice glasses, and they’re perfect for a hydrating an airborne tablet. So since we’ve been using them a little more I thought I might get me another one or two. After stopping by I realized that they change the logo on their glasses. Now I don’t have a matching set. I asked the bartender in the manager if they had any old ones and they said no. But Dunlap the bartender and I had an interesting conversation about logos. It was his point that it’s all the rage right now to have to choose between oval and around logos but I think the greater point is missed. One logo appears to have a lot of white space around while the other takes up a big physical presence. In logo and marketing design we are trying to get imagery to convey meaning and attitudes of the things they are representing. So I feel the second logo the folder round larger physical presence logo is in someways saying “look we are the brewery trust us our beer/product is good”. Where as the former logo a little oval and a little bit more white space around it is saying “look at the beer”, “it happens to be brewed by us”. It seems that the older logo, the oval one, is a bit more humble. It invites a dialogue, which involves the tasting of the product they want to sell. There are only a few restaurants that I frequent, not because the food is somehow better there, but because the choice of ingredients by corporate chefs. Some businesses choose to use high fructose corn syrup as an additive in menu items (I understand this choice from a cost/profitability perspective, from a sugar/sweetness index perspective, and from an addictiveness perspective). For many years I have avoided fast food restaurants because the ingredient list is difficult to obtain. In my case I am not part of the “HFCS is the evil in the food industry” crowd. I simply have an allergy where I can not process this sugar, and to consume it makes me physically sick. To give these institutions $5 for a meal, is to give myself a 5 dollar-14 hour illness. This has resulted in a lot of label reading. 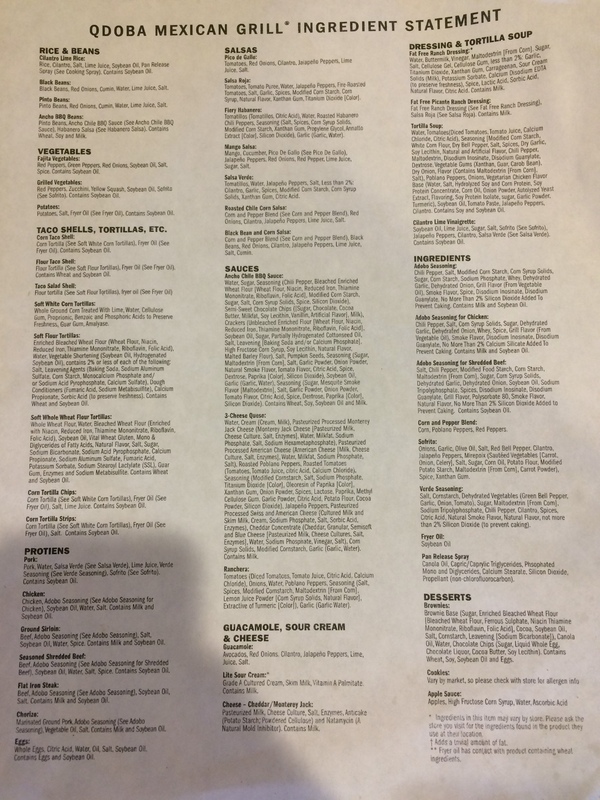 So when I go to a restaurant I always ask for ingredient lists. Today I stop by KFC for the first time in 10 years, I asked the clerk behind the counter if they could give me an ingredients list for the traditional and extra crispy chicken, he promptly contacted his manager who came out and told me that they could not give out ingredients list for liability reasons. However, I could go to the website and look at the nutritional information provided by KFC on their website. In a way this is surprising because at many places like QDoba I can ask at the register (which is no longer just a point of sale, but is a point of service) and receive a printed list of ingredients. Other companies have been able to print off ingredients from their point of service machines for menu items. Here is the rub: KFC is one of those companies that uses a service to manage the information presentation of their ingredient lists. They use nutritionix.com. Now the fact that they use a service is not inherently bad, and shows that some management thought has gone into providing customers with access to some ingredients, but the following question should be asked from a services management perspective: is this service meeting the needs of our customers? In this case I would like to suggest it doesn’t. 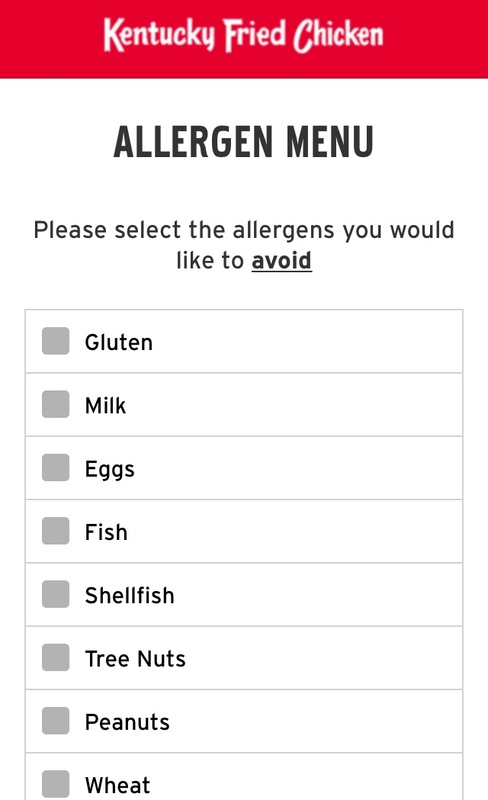 The nutritionix page for KFC starts the user out by having them select the allergens that they would like to avoid. The problem is that things like high fructose corn syrup are not considered allergens (by this website). A broader approach to information access in this case would solve more use cases. What if the question asked was: what ingredients would you like to avoid? Asking the question this way would allow users and customers like me to quickly find menu items that fall within our dietary needs. What is in a soda? 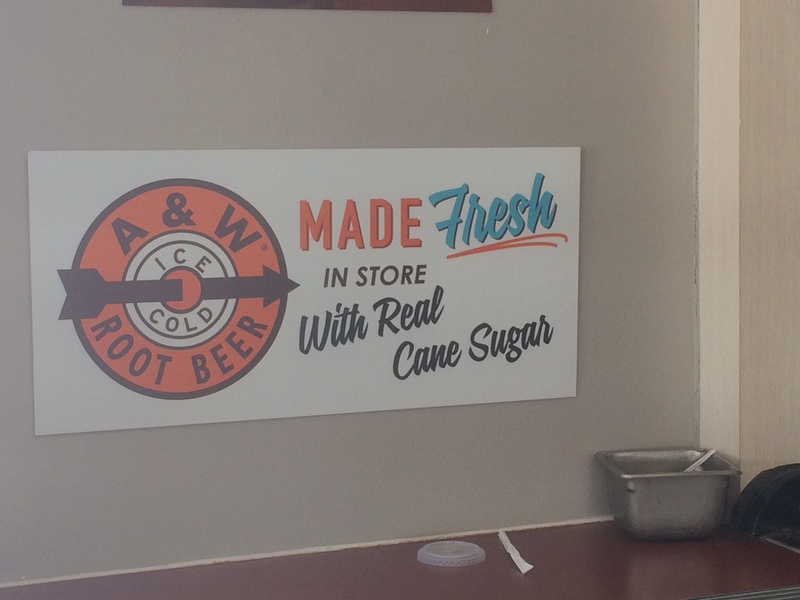 The pictured sign in the KFC, which is also shared with an A & W suggest that the root beer sold by A & W in this particular store is made with real cane sugar. It does not expressly state that there is no high fructose corn syrup in the soda, only that there is also at least some real cane sugar included in the drink. It is often the case with sodas that if they are made with real cane sugar it’s implied that there without high fructose corn syrup. So when my wife ordered me one I was curious what was really in the drink. With this in mind I went to the A & W website (because the staff of this jointly branded store is unlikely to tell me anything about the A & W ingredients either) to find their ingredients list. I found a PDF which shows that their root beer does contain high fructose corn syrup. The disappointing feature of this soda is that there is an apparent disagreement between the corporate messaging in store and their presentation online. I feel the in store messaging is misleading in a physically painful manner. As an aside, my 2 year old daughter found eating with the spork difficult. The macaroni and cheese kept falling off. 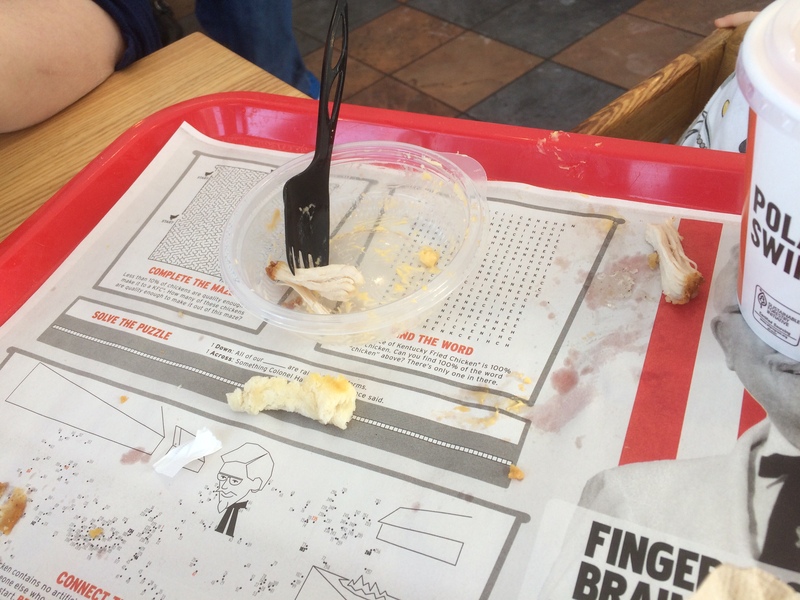 But this is is more about making the eating experience more family friendly, rather than less painful. I really enjoy barbecue. I would give this a hearty B-.